Gates was born in Seattle, Washington, on October 28, 1955. As a teenager he became interested in the new field of computer science. In high school he developed proficiency in computer programming, helped computerize local power grids, and established Traf­O­Data, a company that used computers to analyze local traffic patterns. While attending Harvard, Gates read a magazine article about the development of a microcomputer called the Altair and decided he wanted to be at the forefront of computer software development. 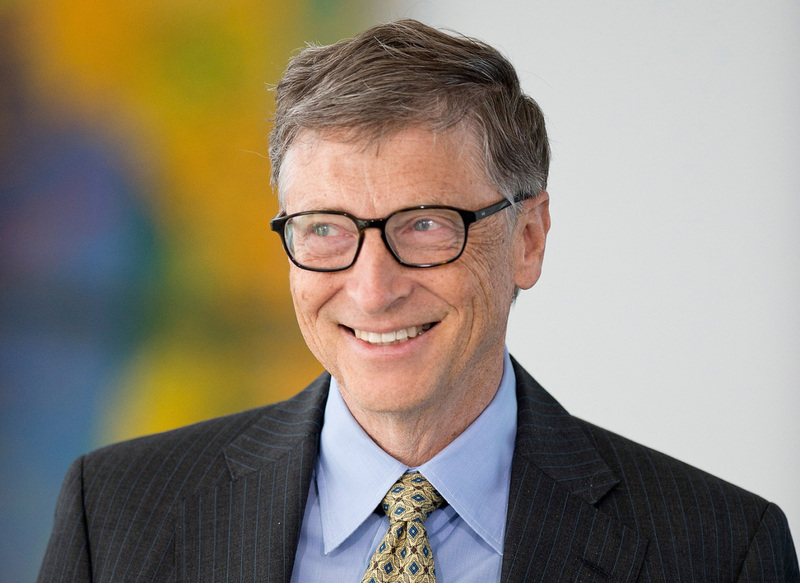 Dropping out of Harvard in 1975, he and friend Paul Allen founded Microsoft Corporation in Redmond, Washington. They devised an interpreter that enabled the Altair and other early microcomputers to run the computer language BASIC. In 1980 International Business Machines (IBM) asked Gates to design the operating system for its new personal computer: he formulated the Microsoft Disk Operating System (MS­DOS). Gates subsequently convinced IBM to release the specifications of its personal computer (PC) so others could write programs for the new machine, and he also firmly established MS­DOS as the standard operating system. As a result, by 1984 more than two million copies of MS­DOS had been sold, making it the leading PC operating system in the country. In the mid­1980s Gates designed application software, such as word processing and financial spreadsheet programs. He also began to promote CD­ROMs, PCcompatible, “read­only” disks with tremendous storage capacity. Microsoft introduced Windows 3.0 in 1990, enabling PCs to be operated by a handheld “mouse” and on­screen symbols rather than keyboard commands. By 1993 Gates’s company was selling one million copies of Windows per month. In August of 1995 Microsoft released Windows 95, an updated version of the Windows operating system. Within four days of its release, it had sold one million copies. Except for Macintosh personal computers, which employ their own proprietary operating system, nearly all personal computers now come installed with the Microsoft Windows operating system. In 1997 and 1998 Microsoft has undergone increased scrutiny from the United States Department of Justice (DOJ) concerning alleged monopolistic practices relating to the licensing of its software to hardware manufacturers. In particular, the DOJ has tried to put legal limitations on Microsoft’s effort to tie the use of its Windows operating system to that of its Internet browser Microsoft Explorer. By offering Microsoft stock to the public in 1986, Gates became a billionaire at age 31. Gates is chairman and chief executive officer of Microsoft Corporation, which in 1997 was the largest computer software supplier in the world. When Gates and Allen founded Microsoft Corporation, they hoped to put “a computer on every desk and in every home.” Although Gates has not yet seen this goal fulfilled, the widespread use of PCs attests to his software engineering ingenuity and acute business sense. PCs have revolutionized the information related aspects of business, education, finance, industry, and science. Gates left a lasting legacy when he developed MS­DOS and convinced computer companies to standardize it as the operating system for PCs. As a result, most PC software is interchangeable among a wide variety of machines, facilitating the exchange of information. This compatibility also opens the use of PCs to more people. Microsoft’s applications dominate word processing and spreadsheet software. The company’s Microsoft Word and Excel lead yearly sales of such programs. The Windows operating system enjoys widespread use both in the United States and abroad. 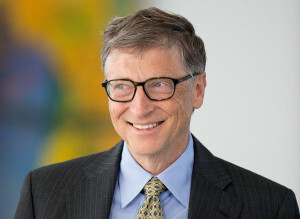 Gates’s company has become the giant of computer software companies, setting standards and shaping the development of the industry. Posted on March 7, 2015 by Natalie. This entry was posted in Programmers. Bookmark the permalink.